How you can contribute to preservation efforts. According to the website GivingTuesday.org, #GivingTuesday is “a global day of giving fueled by the power of social media and collaboration.” Celebrated on the Tuesday following Thanksgiving, Black Friday, and Cyber Monday, #GivingTuesday is meant to kick off the holiday season by encouraging charitable donations. So today, we at Porthole Cruise Magazine wanted to share some ways that our fellow cruise-loving friends can give back to their favorite ships of yesteryear by contributing to their preservation efforts. Launched in 1934 and retired in 1967 after 1,001 trans-Atlantic crossings, Queen Mary lives on as a full-service hotel, historical landmark, and entertainment venue docked in Long Beach, California. 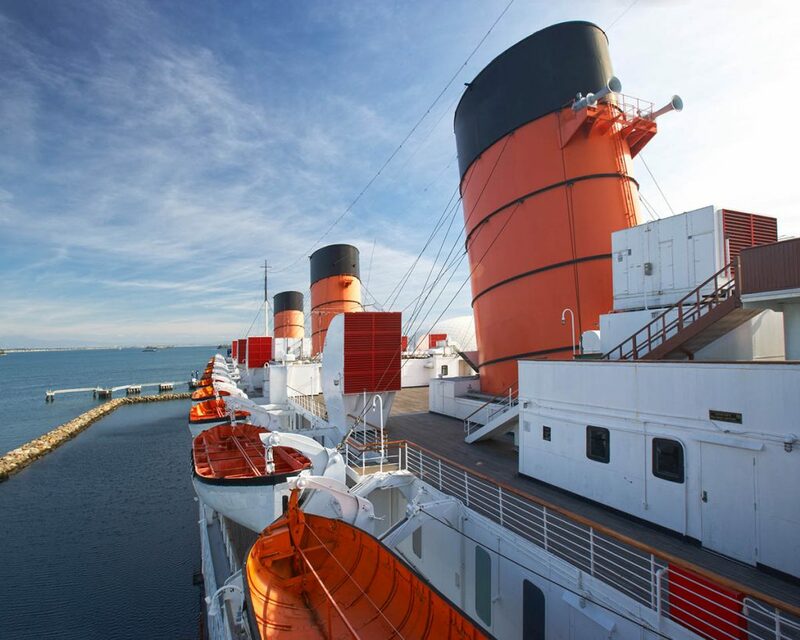 Providing a unique glimpse into a bygone era when steamships were the most regal way to travel, Queen Mary staffers work closely with ship historians on various renovations and preservation projects, which you can support by becoming an annual member. 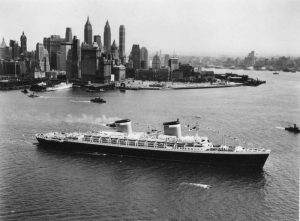 Upon her delivery to the United States Lines in 1951, the S.S. United States was the most graceful, modern, powerful, and sleekest vessel in the world. In fact, the American public embraced the S.S. United States so much that she became known as “America’s Flagship.” In 1969, while undergoing her annual overhaul at Newport News, she was abruptly and permanently withdrawn from service. Following a succession of different owners, she remains docked at Pier 82 on Philadelphia’s Delaware River. As the owners of the S.S. United States, America’s National Flagship, the Conservancy leads the global effort to save this one-of-a-kind piece of American history. You can play a role in the rescue and restoration of the S.S. United States by donating and becoming a member. 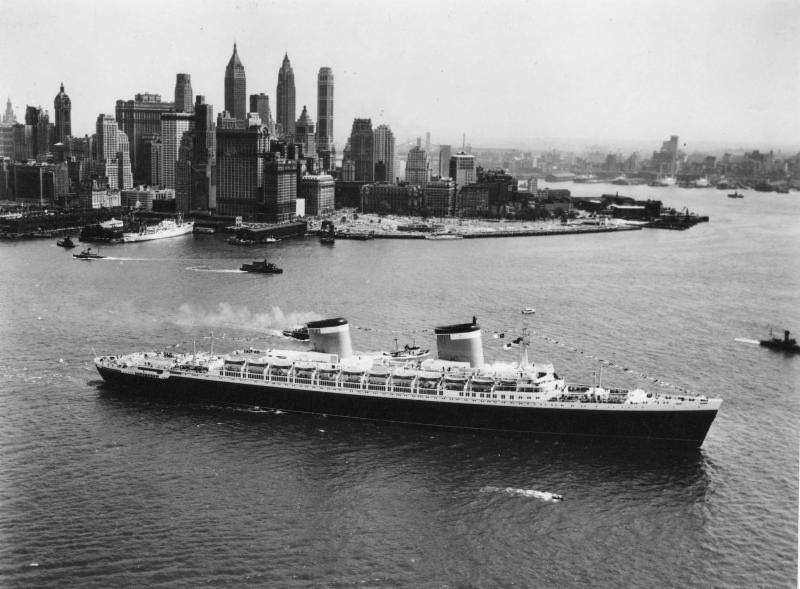 The S.S Rotterdam has a long and rich history after coming into service for Holland America Line as its flagship in 1959. “La Grande Dame” was constructed in Rotterdam, left Rotterdam, and is now back in Rotterdam. Since 2001, the Friends of Steamship Rotterdam (or the Steamship Rotterdam Foundation) has continued her activities including securing the ship’s lasting preservation and use in a culturally and historically responsible manner. You can support these efforts through financial support or volunteering. In addition, the S.S. Rotterdam is open to the public for hotel accommodations, restaurants, and tours. Built in 1926, Delta Queen is an American icon and National Historic Landmark. In 1966 she ran afoul of new legislation, the 1966 Safety of Life at Sea Act (P.L. 89-777), which forbids large passenger vessels to sail from a United States port if constructed primarily of wood. On April 4, 2017, the Senate passed legislation that exempts Delta Queen from the law. The bill now moves to the House where it needs to be approved as well in order for Delta Queen to be able to run again as cruise ship on the Mississippi River and its tributaries. In the meantime, Delta Queen is moored in Chattanooga and is part of the National Trust for Historic Preservation, where you can donate to the campaign and stay updated on legislation. Launched December 22, 1904, and designated a National Historic Landmark in 1989, the steamship S.S. Milwaukee Clipper now resides in Muskegon, Michigan. Nicknamed the “Queen of the Great Lakes,” the 361-foot passenger and package freight steamer was the epitome of first class travel and sailed between Buffalo, New York, and Duluth, Minnesota, sailing through the late 1970s. Today, the S.S. Milwaukee Clipper Preservation is funded by tax-deductible gifts from individuals, grants, and businesses to preserve the legendary steamer. Restoration and maintenance is done totally by volunteers.